◆ No longer worry about the room there is no plug can't use the light string decoration; No longer worried about the bad weather, string lights is not bright enough. At the same time, Waterproof IP65 rating, suitable for both outdoor and indoor. 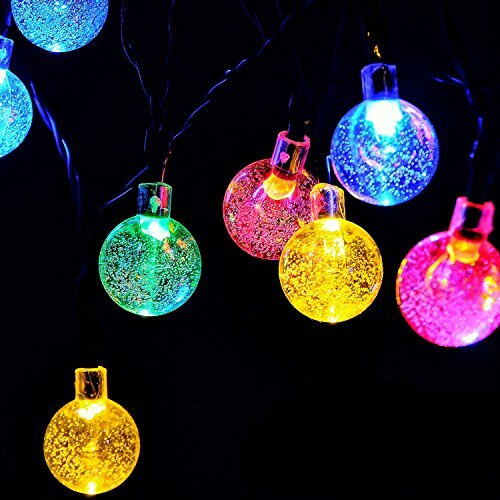 ✔ PRODUCT DIMENSIONS - 30 LED string lights total length 17.5ft ; lead length 3.3ft ; lamp spacing 0.5ft. If you have any questions about this product by RECESKY, contact us by completing and submitting the form below. If you are looking for a specif part number, please include it with your message.